Learn to create great landscape paintings by improving your plein air painting skills with Ian Roberts! How do you choose a good plein air composition? Join Ian Roberts in this video workshop to learn the answer! You'll discover how to evaluate the landscape around you with an artist's eye. Find and frame landscape subjects that have strong and dramatic compositions, and learn the skills to translate that into beautiful and realistic oil paintings. Ian will lead you through skill-building exercises plus a start-to-finish demonstration to ensure that you master the necessary skills for success! Take the beautiful landscape scenes you see and translate them into dynamic finished works full of color and strong composition. Preview Plein Air: Landscape Painting Techniques for Success now for painting tips on how to frame and crop your subject, plus what to look for in the landscape to create strong shapes and dynamic design that captivates your viewer's eye. You'll be surprised how simple it is to create beautiful, well-designed landscape paintings with instruction from Ian Roberts! You'll learn how to find a strong subject, create simple value drawings, and paint a landscape scene, in addition to learning helpful oil painting and color mixing techniques. 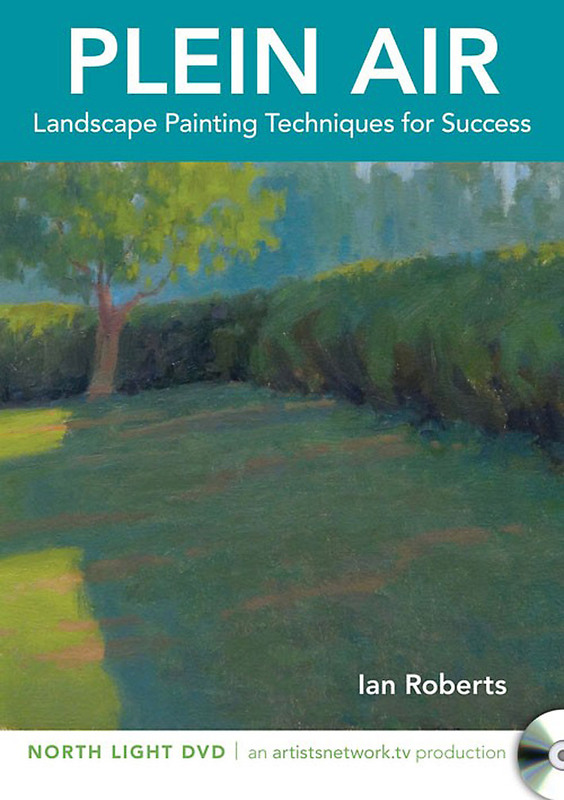 "very precious advices and demonstration for those painters who find plein air painting overwhelming." "While this video is designed for plein air painters, I found it extremely helpful for studio landscape painting. Great advice - clear and concise and he has a real talent for teaching while doing the demo. Even though he mixes his colors so quickly, I have learned a lot from his "soup" theory and have enjoyed trying that out. One of my favorite instructors!" "Ian Roberts' videos are the best! His thoughtful and analytical approach to the shapes that contribute to the design and structure of a painting is clearly presented. I'm going to start on my 50 paintings right now!" "What a great video! Just what I needed to help me in my plein air journey. Such clear instructions. Simplify, Simplify. When I watched the preview it was what spurred me on, to sign up again. Great value for the $ if you put the time and effort into them." "This video was the best video yet from Mr. Roberts. Not only did the lightbulb over my head finally go off, it is more like a chandelier. The process of design and simplification was clarified so well that I can't wait to redesign the painting I am now working on."